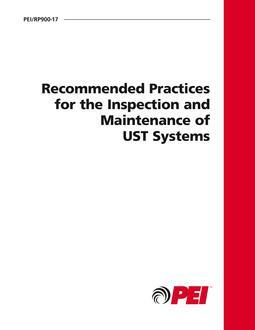 Provides a basic reference that consolidates published and unpublished information from equipment manufacturers, serivce and installation contractors, petroleum marketers, as well as regulatory agencies concerning the proper inspection and maintenance of underground storage tank (UST) systems. The recommended practice applies to underground storage tanks and associated equipment intended to store and dispense gasoline, diesel and related petroleum products at vehicle fueling facilities. The equipment covered includes all below-grade, liquid- and vapor-handling components accessible from grade over or near the top of the storage tank and below the emergency shutoff valve at the fuel dispensers. 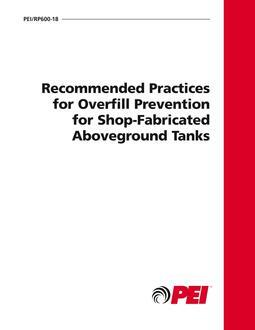 PEI has written this recommended practice to promote proper inspection, operation and maintenance of underground storage systems, to enhance the longevity and trouble-free performance of underground storage tank equipment, to promote fire preventions and storage system safety, protection of human health and the environment, regulatory compliance and early identification of potential equipment problems, and to reduce liability associated with the operation of underground storage systems.